Hydrangeas are large, fluffy flowers. Hydrangeas are used widely in weddings because they are versatile and long lasting, as well as attractive. Hydrangeas are available in shades of white, green, blue and pink among other colors, so they can fit into the color scheme of nearly any wedding. "Martha Stewart Weddings" describes these flowers as "hardy." If they are properly cared for, hydrangeas can keep their beauty and freshness throughout the entire wedding day, and for several days more. Buy the hydrangeas no more than three days before the wedding. Separate each bloom by pulling each stem away from the bunch. Pull gently, since the flowers could be stuck together and can be crushed or broken easily. Pull off any wilted or brown leaves. Fill a bucket or plastic container with cool water. Pour in a packet of floral freshener, which you can buy from florists or garden stores. Cut off the bottom of the stem. Even if the stems are at the right length, cutting off a bit of the stem will allow water to get inside and keep the flowers fresh for longer. Submerge the stem of each flower in water. Store the containers and flowers in a refrigerator until you need the flowers to make the bouquet, boutonniere or arrangement. Prepare any floral arrangements as close to the wedding as possible. Return the arranged hydrangeas to the refrigerator until the wedding. Place the stems of the bouquets back into water if possible. 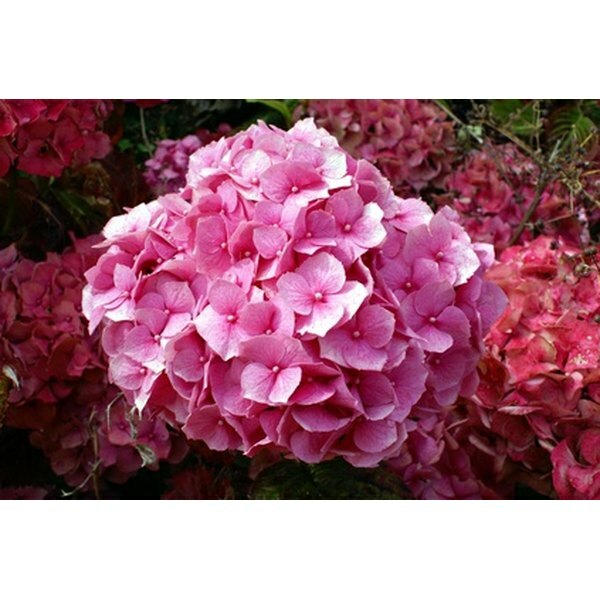 Hydrangeas will last for anywhere from four to 10 days when cared for properly. Ask your wedding venue if there is a refrigerator you can use on the premises, so your hydrangeas will be as fresh as possible when it is time to walk down the aisle. 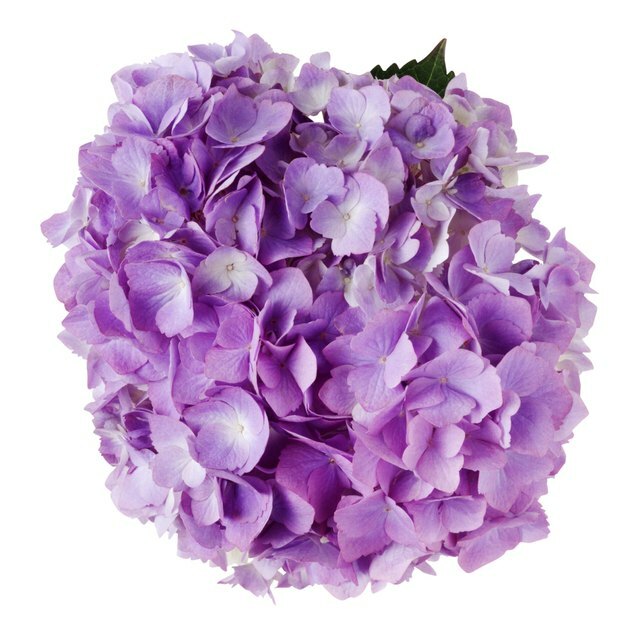 Return the hydrangeas to the bucket of water and refrigerator after the wedding to keep them fresh for several days afterward. Preserve the hydrangeas by hanging the flowers upside down in dark, cool place until they are dry. To press flowers, place a bloom inside a paper towel. Place the paper towel between two pages of a book, close the book and leave it there until the blooms are dry. Heat and sunlight will damage hydrangeas, so keep them away from windows while you work with them.